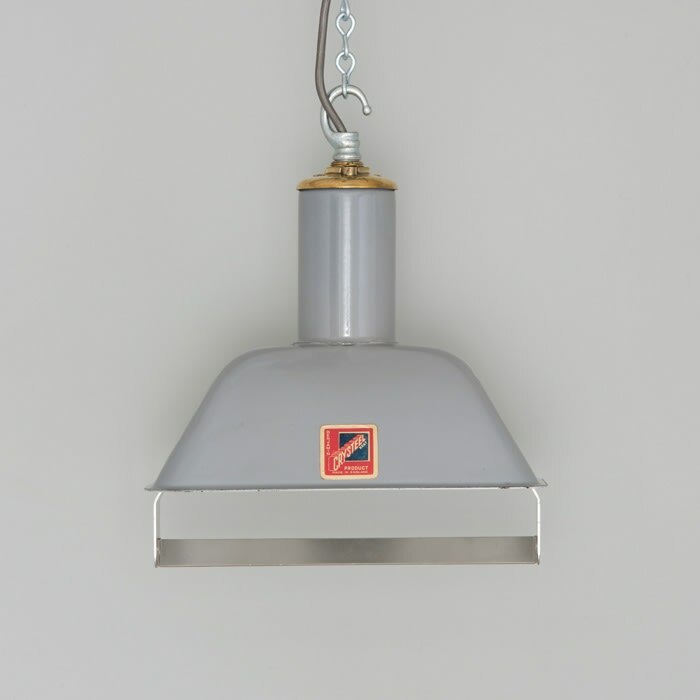 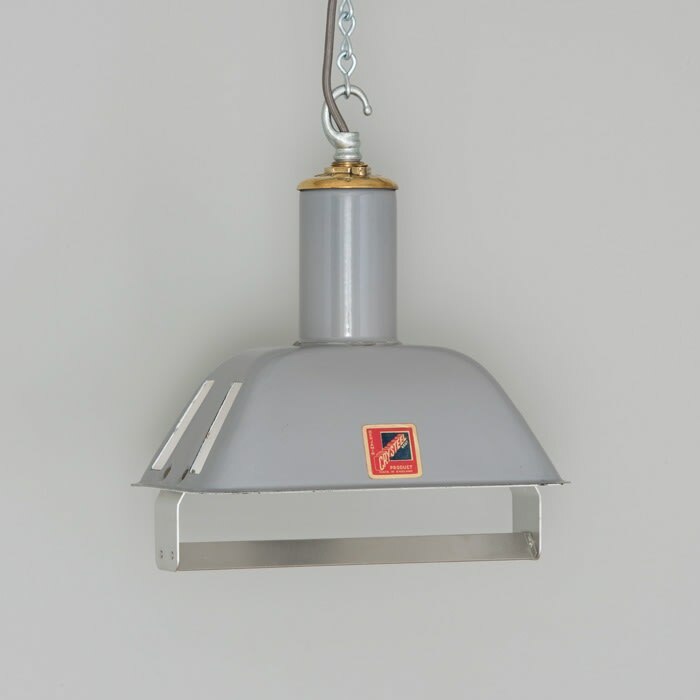 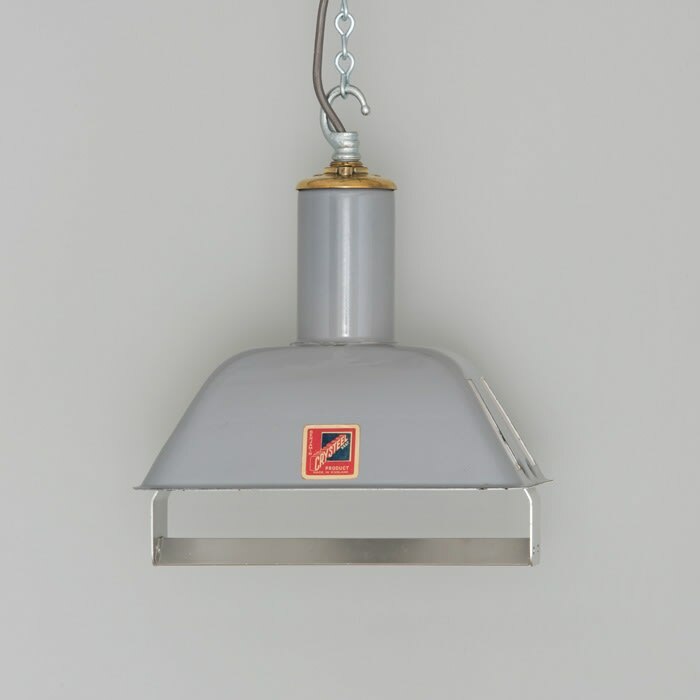 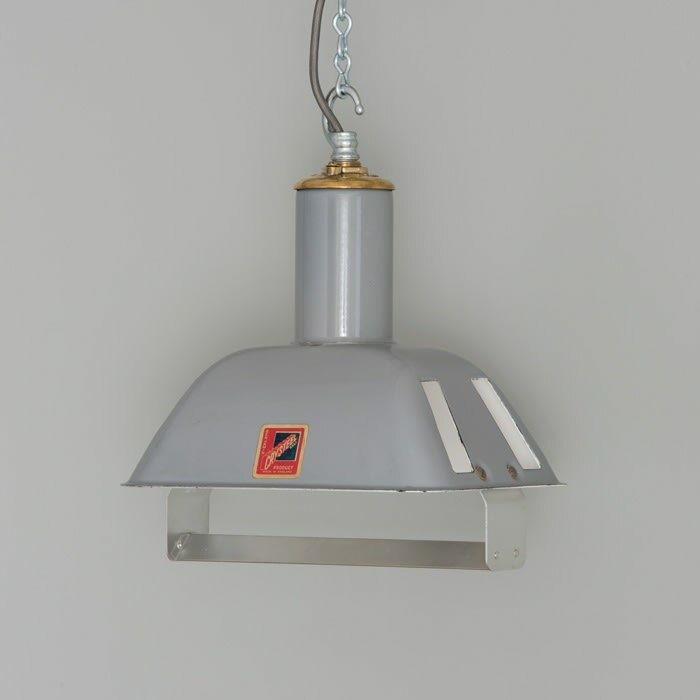 A run of unusual 1950s rectangular enamel pendants, by British manufacturer 'Benjamin'. These enamel pendants were reclaimed from the basement archive of Bristol University Library, where they were originally installed in the 1950s. 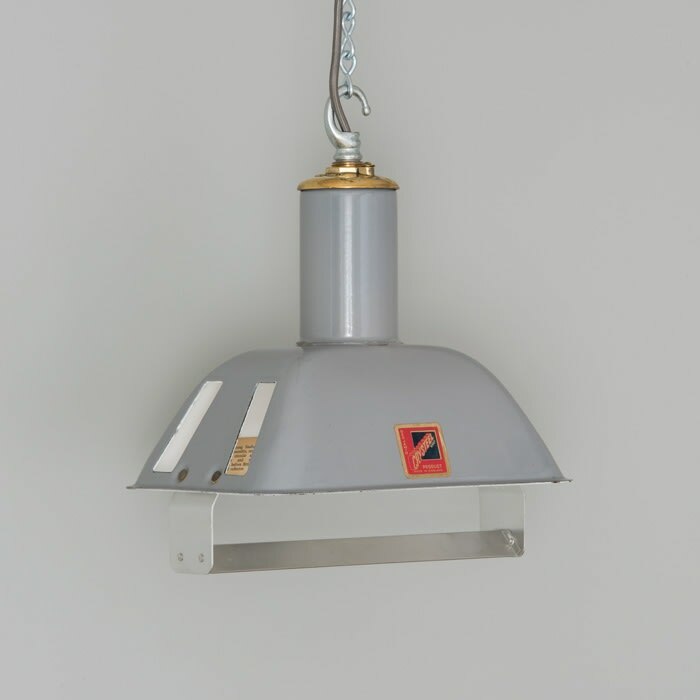 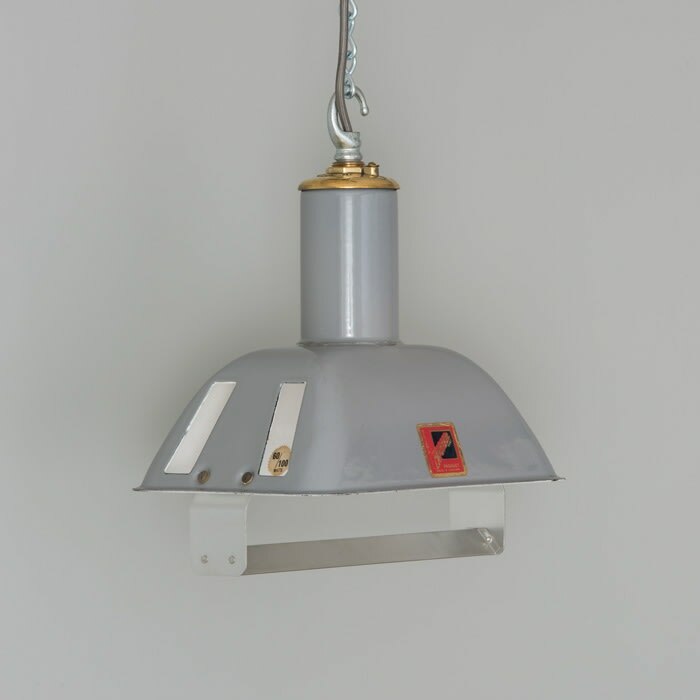 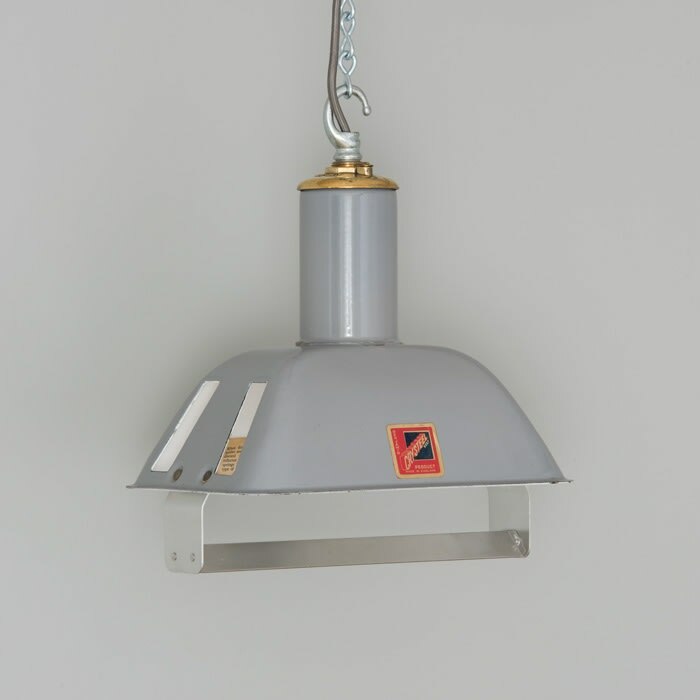 Refurbished by hand, the lights are complete with their original labelling, cast detailing on the polished brass galleries. 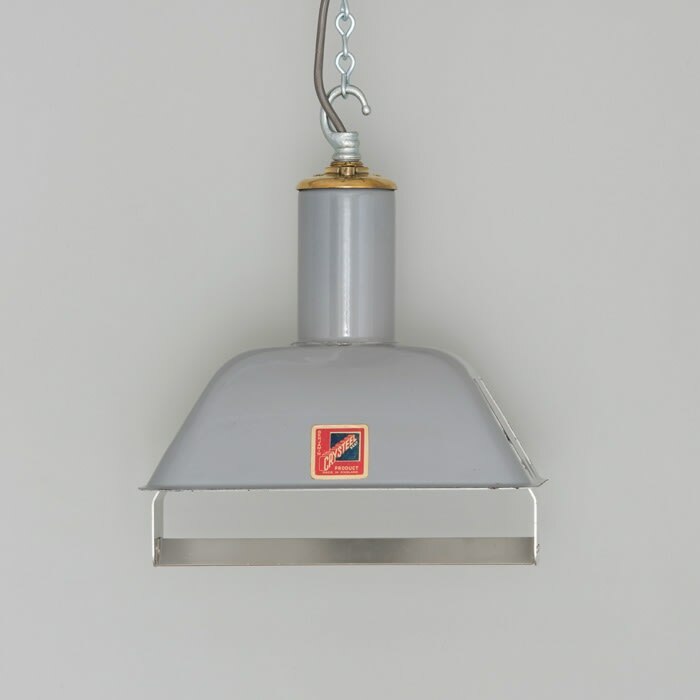 At skinflint we respect and preserve the heritage of each piece. We take the time to investigate its history, studying old catalogues for clues and assembling the whole story. 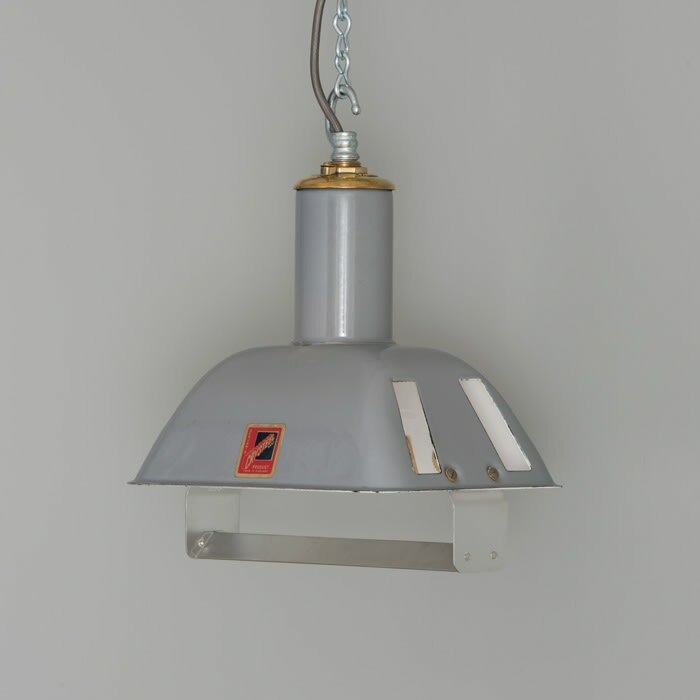 The extract shown featuring these lights is from our own internal manufacturers archive, an original 1950s Benjamin Electric Ltd, Industrial Reflectors catalogue. 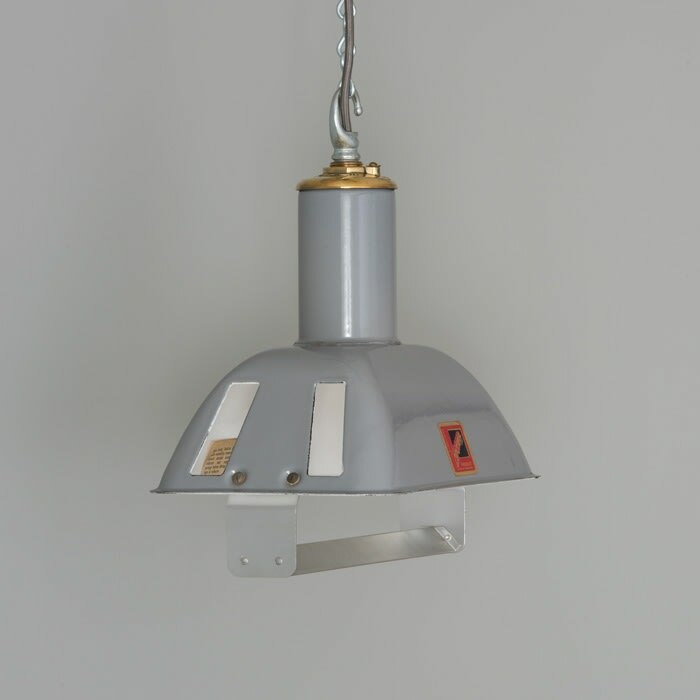 Each light is supplied with a new screw (E27) lamp holder, 2mtrs of suspension wire, elephant grey braided cable and a ceiling mounting plate. (If you would prefer another colour cable, chain suspension or an E26 lamp holder for use in the USA, please just ask).